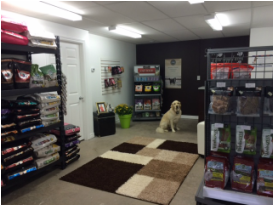 Sammy's Pet Foods specializes in offering Premium Quality pet foods and products at Great Prices! We care about your pets and strive to offer only the very best, while also aiming to offer the best pricing possible. Our pet foods are not made with fillers or loaded with chemicals! Our products are the highest quality, made with whole foods and real meat to ensure your pets have a complete and healthy diet. Why travel into the city to get Premium Quality Pet Foods? We have a full retail store located here in beautiful Porters Lake and also offer online shopping with delivery right to your door! Introducing our newest line of premium quality pet foods by Horizon Pet Nutrition! SHOP ONLINE and have your order delivered right to your door! Proud sponsor of Kailey Avery for hockey! Check out the following great videos from our suppliers! Online Shopping: 24/7 of course!